The property is located to the North of Coventry with a variety of local amenities and The Midland Motorway Network within easty access. Porch : , Door leading through to the hallway. Entrance Hall : , Doors leading to the ground floor acommodation, stairs rising to the first floor. 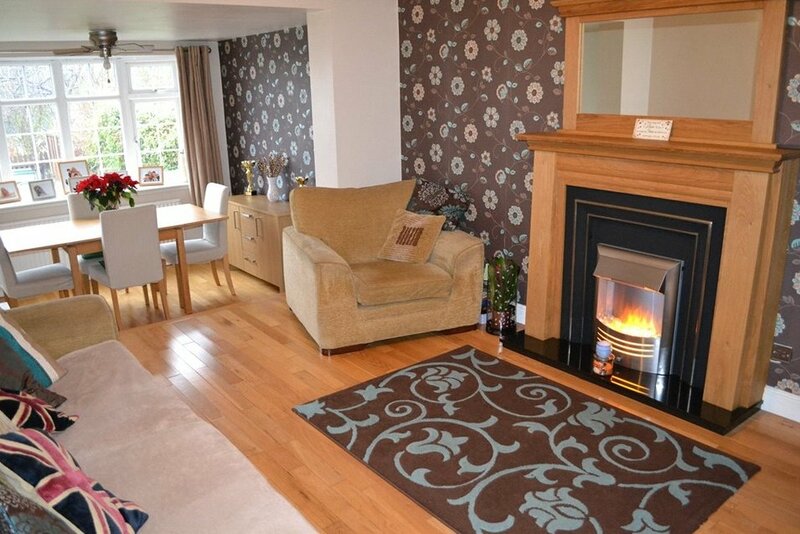 Lounge : 4.3m x 3.3m (14'0" x 10'11"), Having a gas fire with surround, laminate flooring, opening to the dining room and a central heated radiator. Dining Room : 3.0m x 2.5m (9'11" x 8'3"), Double glazed window to the rear and side aspect and a central heated radiator. Kitchen / Diner : 6.2m x 2.3m (20'5" x 7'8"), Matching range of wall and base mounted units with roll top work surfaces over, inset sink with drainer and mixer tap, electriv oven, four ring gas hob with extractor hood over, space for white goods, tiled flooring and double glazed window to the rear aspect. Door leading externally. 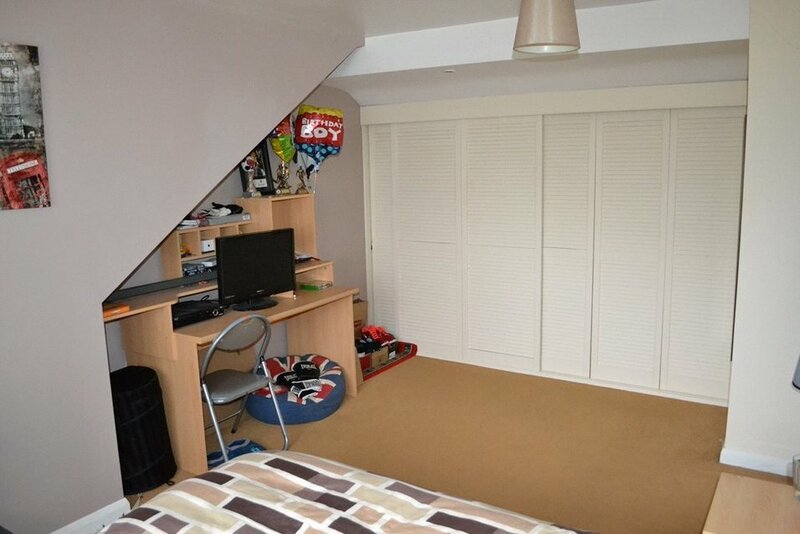 Master Bedroom : 3.8m x 3.4m (12'7" x 11'1"), Double glazed window to the front aspect and a central heated radiator. Bedroom Two : 3.3m x 3.0m (10'8" x 9'11"), Double glazed window to the front aspect and a central heated radiator. Shower Room : , Walk in shower, low level W/C, pedestal wash basin, double glazed opaque window to the rear aspect and a central heated radiator. Bedroom Three : 4.6m x 3.5m (15' x 11'6"), Built in wardrobe, double glazed window to the rear aspect and a central heated radiator. Bedroom Four : 3.1m x 2.8m (10'1" x 9'2"), Built in wardrobe, double glazed window to the rear aspect and a central heated radiator. 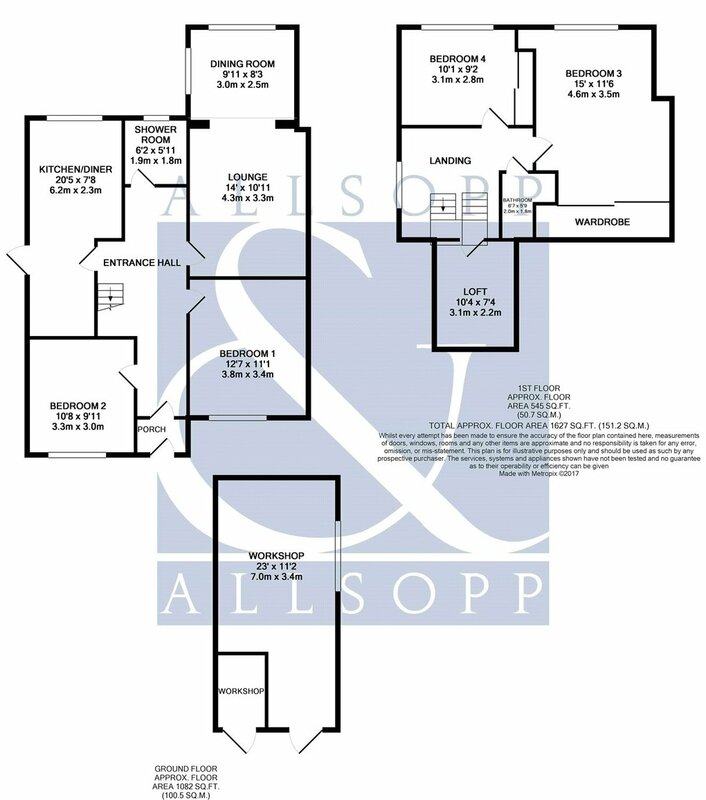 Bathroom : , Panelled bath, low level W/C, pedestal wash basin and a central heated radiator. Rear Garden : , Initial decked area leading to a laid lawn area, feature pond, timber fencing to the boundaries. Workshop : 7.0m x 3.4m (23' x 11'2"), Window to the side aspect.